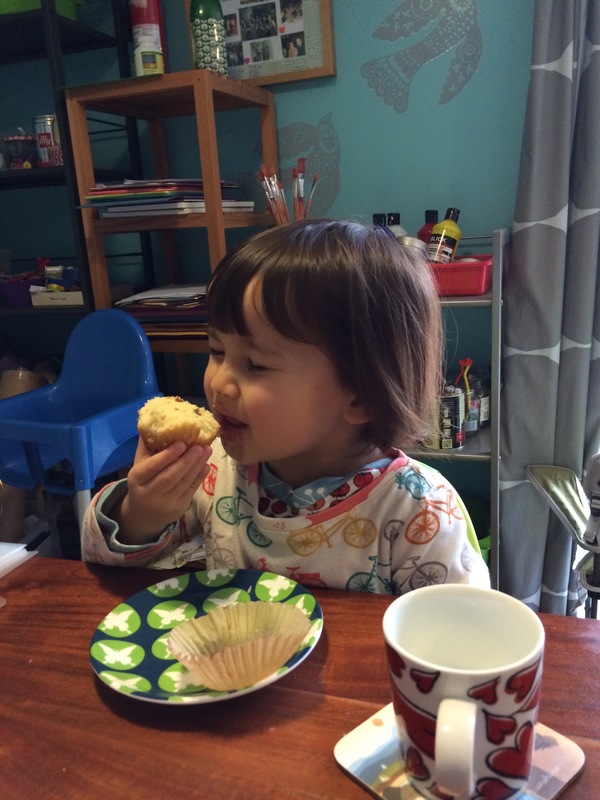 I should have taken a video of Nomi eating her morning snack, as she declared them the best muffins ever (marzipan-chocolate chip) and sang their praises as she ate them. 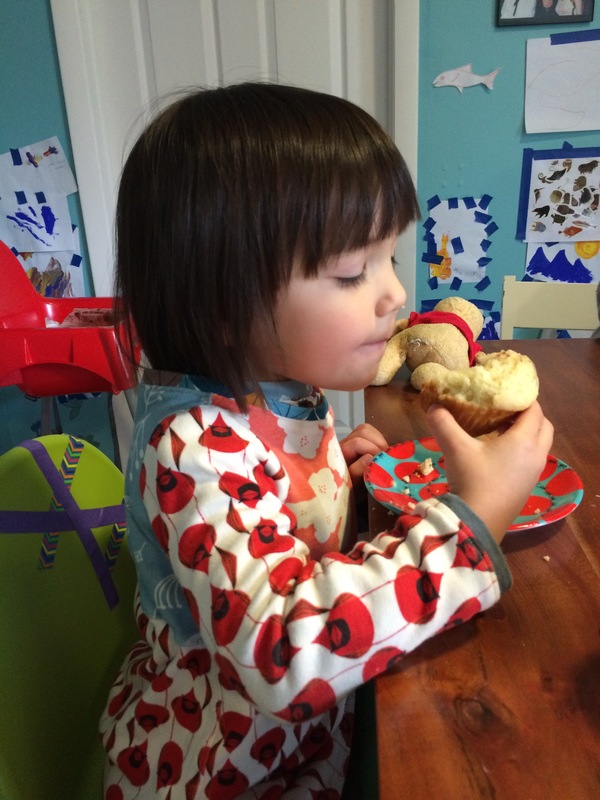 Zoey also got into the act with muffin love but not quite as thick as Nomi. Glad my cooking is appreciate. There’s a new “kids” book out called You Have To F*cking Eat (the sequel to Go The F*ck To Sleep) detailing the pain of getting small children to eat. I haven’t read it but I can guess how it goes given that I have two small children of my own that I eat with twenty one, or thirty five if you include snacks, times a week. Though to be honest I find mealtimes way easier now than when they were under 18 months. 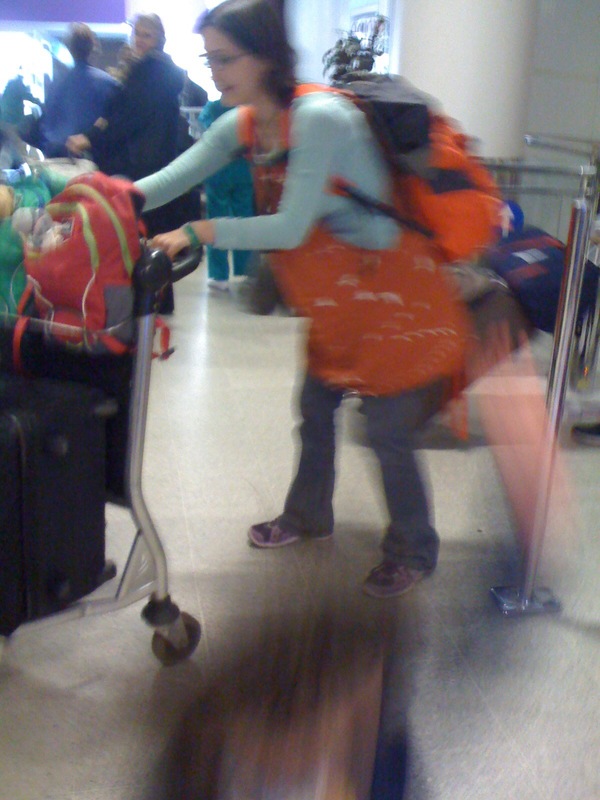 Those were bleak times, my friends, bleak times. Sure I’d like them to eat more vegetables and not linger as much but I have plans for both of these. A friend suggested bringing knitting to the table as something to do when kids are dragging out a mealtime. It’s genius! I stop getting antsy and work on my knitting. Over the summer I’d got into a rut with cooking vegetable sides that would get eaten but now I’m trying to shake things up. I know it’s going to take many appearances of these sides before they’ll be tasted or enjoyed but it’s worth it. 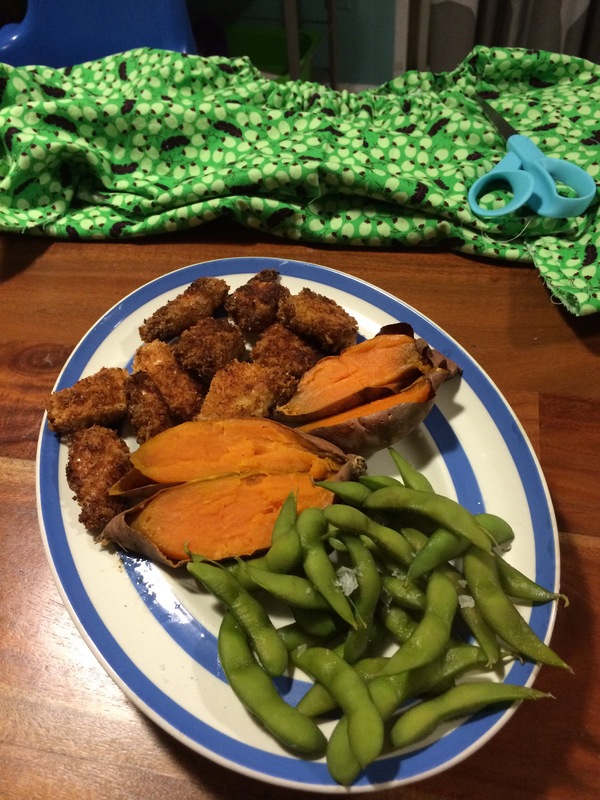 For dinner tonight we had homemade crunchy chicken nuggets, edamame and baked sweet potato. I know, I’m rocking the Gwyneth Paltrow vibe. The chicken and edamame (must be in shells) were eaten without question but the baked sweet potato was NEW. Nomi pushed it to the edge of her plate and kept giving it side eye in case it sprang to life and tried to attach itself to her fork. Zoey was excited by food in a “shell” and ate a fair amount. Eventually Nomi will gobble it up, only a matter of time.